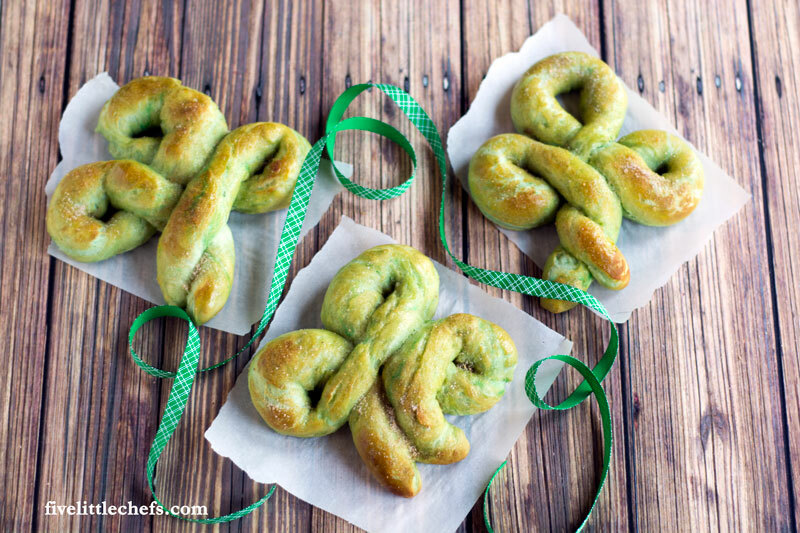 Do you love celebrating fun holidays like St. Patrick’s Day with food?! This Cinnamon Sugar SOFT PRETZELS recipe is amazing! These pretzels smell and taste just like the mall pretzels. Every now and then we invite a bunch of kids over for a late night. They ALWAYS want something to eat. Instead of having food available for them we make it fun and let them create their own pretzels. Not only is it a fun activity but kids love it because they can make their own and then eat it soon after! It doesn’t matter what it looks like, it will taste delicious! Tip: I have the dough ready to go so they do not need to wait so long for the end result. This recipe makes 8 large pretzels. My kids love anything that has to do with a rainbow or shamrock or anything green for St. Patrick’s Day. We tend to remember holidays for the food and the activities. I’m sure I’m not the only one who has kids that remembers everything that happened last year and the year before. Sometimes that creates a lot of pressure for me trying to one up the previous year–or at least match it. To celebrate St. Patrick’s Day we have added a little food coloring to the dough just to give it a hint of green. I didn’t want to scare anyone away with a really bright green color. If that is not a concern for you go ahead and add more green to really make it festive! This soft pretzel recipe does have a lot of steps, but don’t let that scare you away. EACH STEP INDIVIDUALLY IS NOT HARD. If I can make these with my kids so can you! To understand and execute the recipe I have broken it down into four EASY steps. 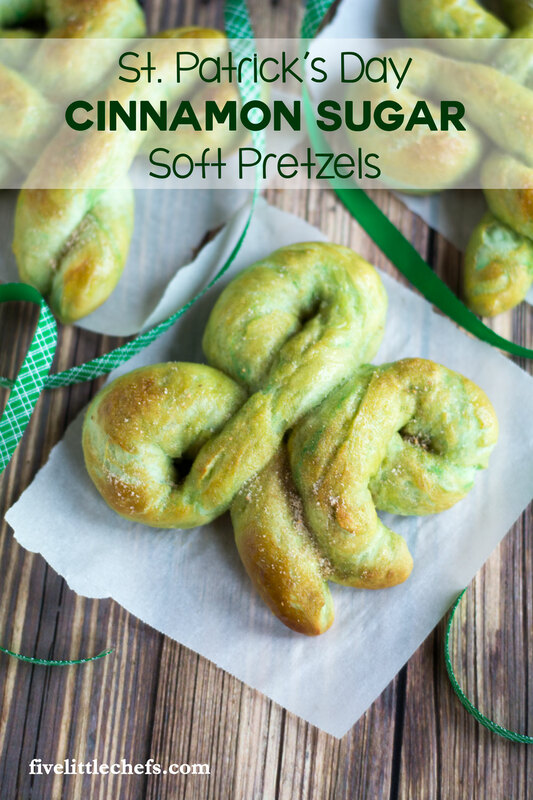 4 Replies to "St. Patrick's Day Cinnamon Sugar Soft Pretzels"
These are awesome! Thanks so much for sharing them on the Party Gals Linky! Ok, I love pretzels and I love cinnamon sugar so this combination is just perfect. Thanks for linking up to The Party Gals Linky Party.